Breakaway from the pack and serve up this Ice Hockey Schedule Drink Ticket at your next sporting event. 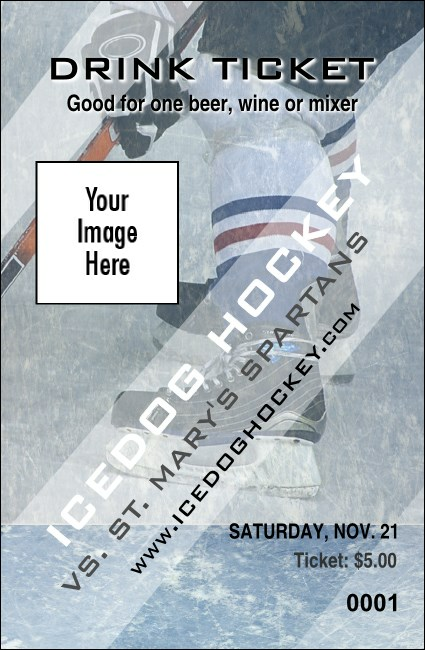 With individual numbering for added security, this ticket features a sharp image of the ice, with room to upload your own team logo. Hand out to guests for their own hot chocolate, coffee, or beer!